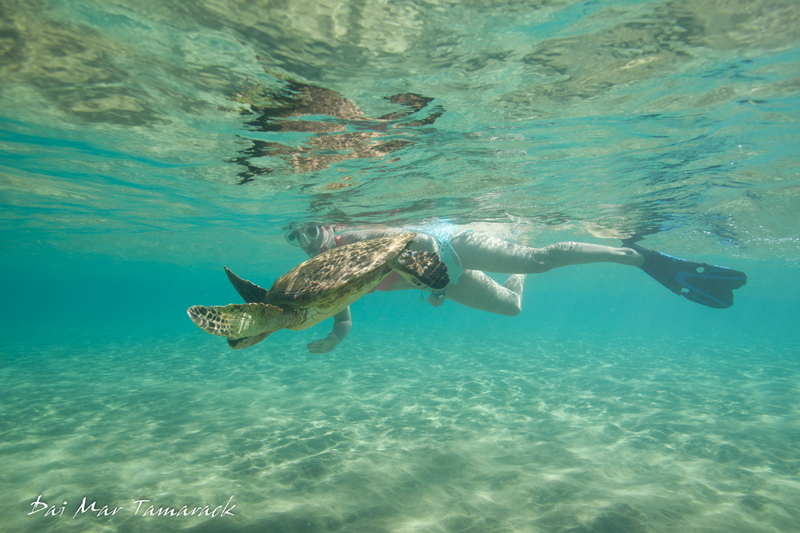 Taking full advantage of living on Maui in the winters we spent the morning at a new snorkel spot and beautiful beach with our good friend Moser. Heidi and I were quite excited to check out a new place, especially since Catalina seemed perfectly content playing with Moser on the beach. That girl loves her giant sand boxes. 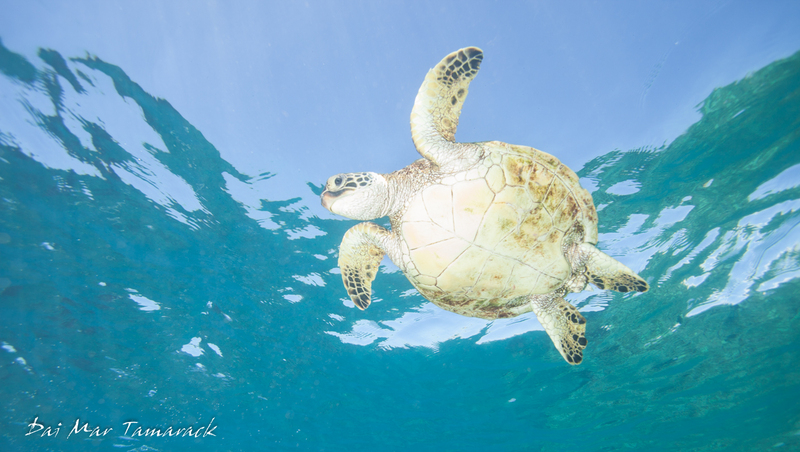 As I waded out in the crystal clear water I saw our first turtle before I even started to swim. It was cruising over the sandy bottom. 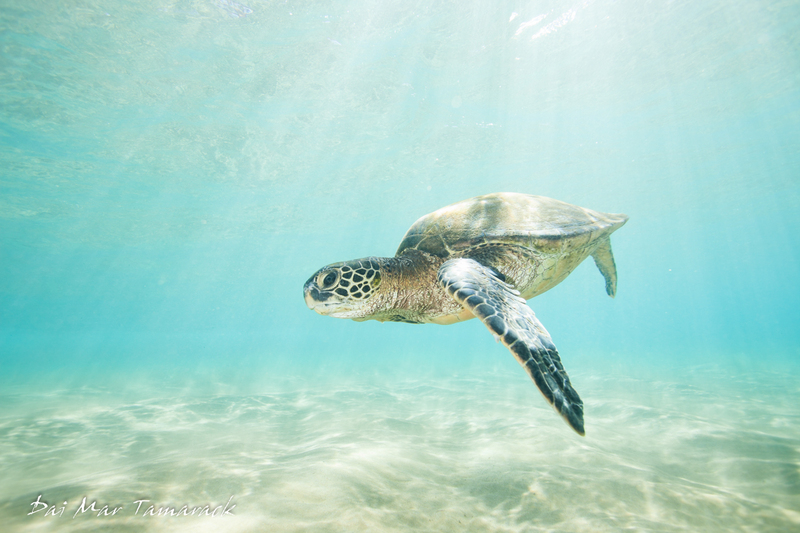 The mid day light was shining through the water lighting up the turtles shell, making for some great photographs. 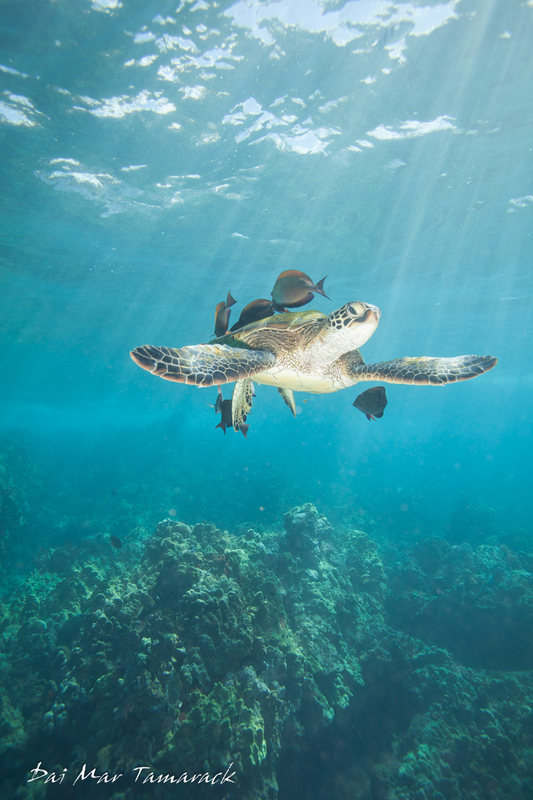 That first turtle led me straight into the second, and that is how this entire snorkel felt. 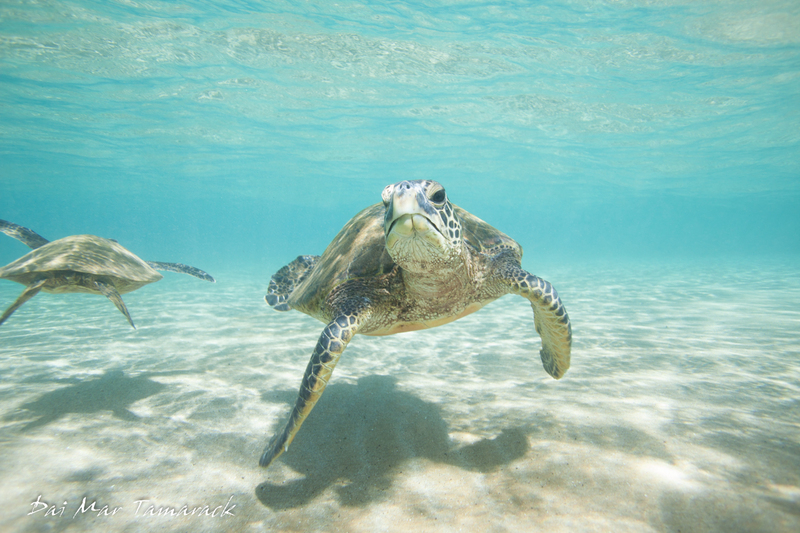 Once I had enough pictures of those turtles over the sand I swam to find Heidi snorkeling over the reef. 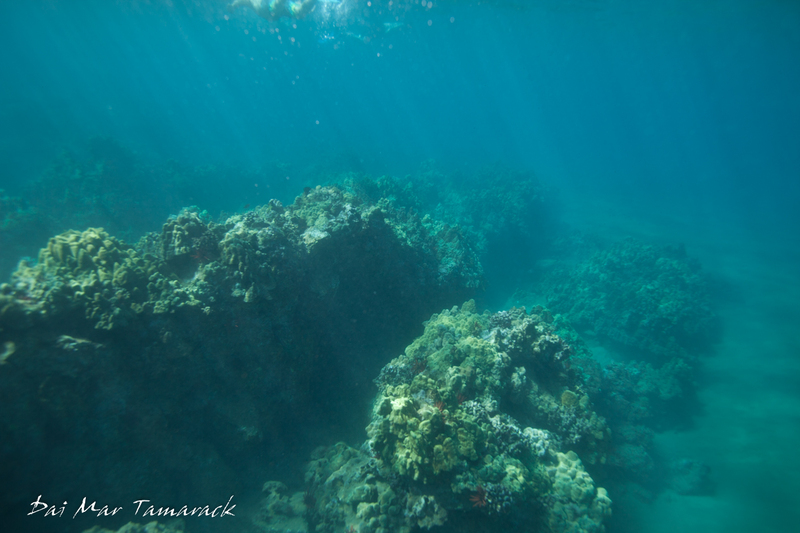 I was pretty shocked at how beautiful the topography of the reef was. 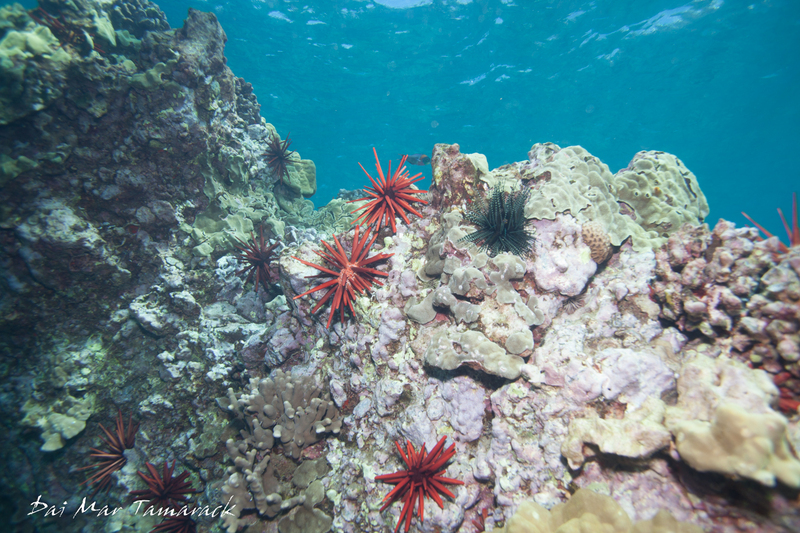 There were lots of nooks and crannies for animals to hide, and the coral looked very healthy and colorful. 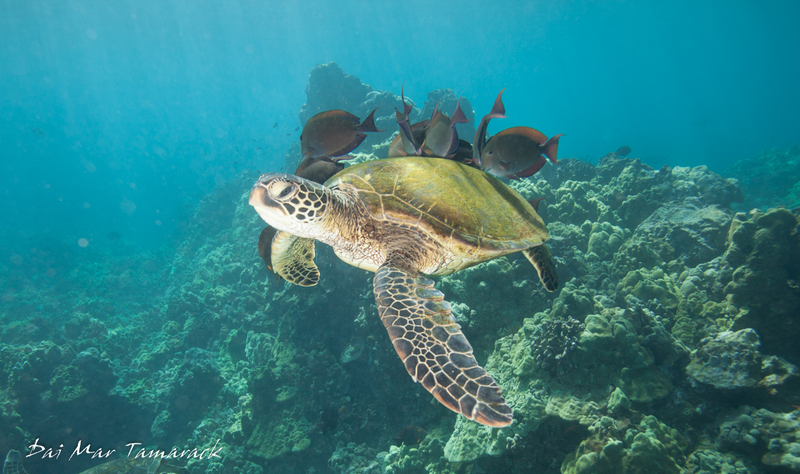 I took some time to photograph the beautiful reefscape but focused most of the snorkel on the different turtles zooming by. 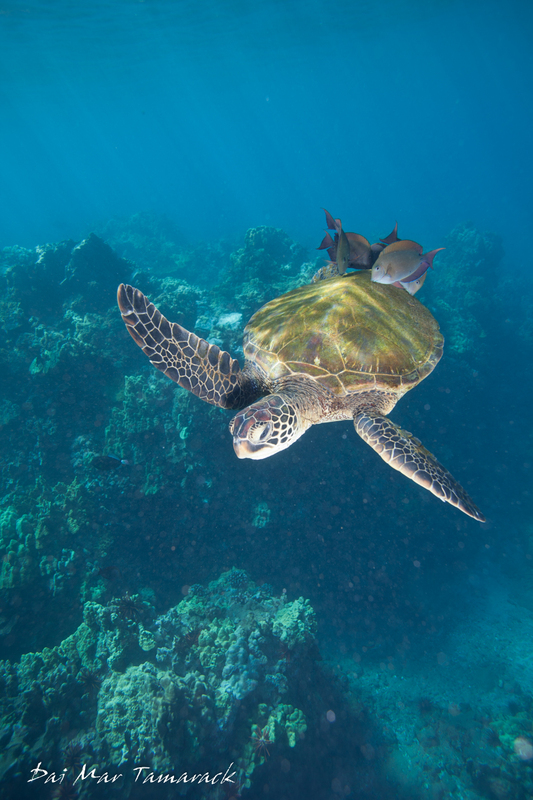 They were all green sea turtles and ranged in size. They didn't seem too timid, so I could get close for pictures, but I always tried to stay out of the way so as not to impact their behavior. 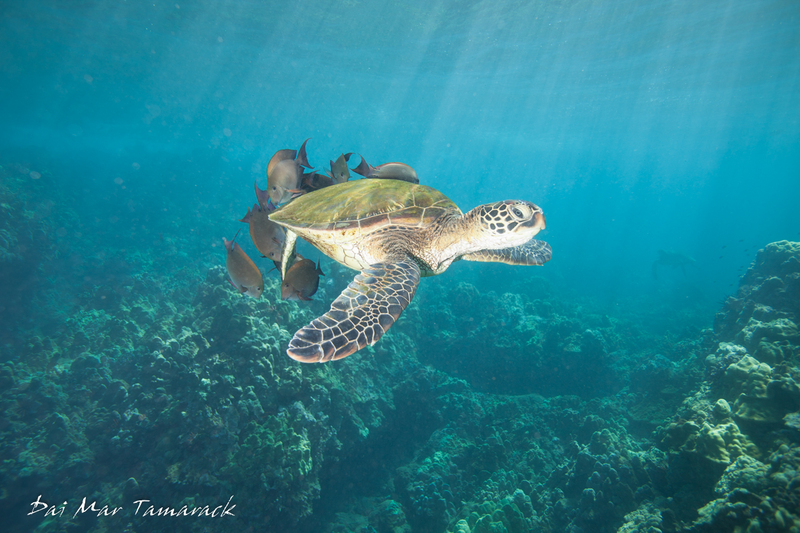 My favorite encounter came while I was following one young turtle bee-lining it over the reef. All of a sudden the turtle stopped and all of these black surgeonfish rushed out to start cleaning the turtle. I had just stumbled upon a sea turtle cleaning station. This turtle did have a particularly algae covered shell so the fish were getting a very good meal. Another turtle came over to try and get cleaned but the fish only seemed interested in this young one. 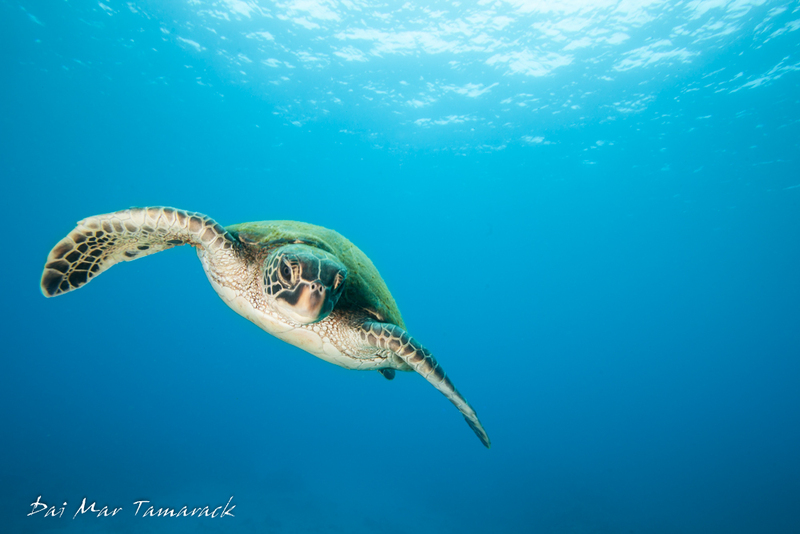 I could tell the turtle was also having a grand time because I was able to dive all around getting different angles for photos. The resulting photographs were pretty fun to go back through. 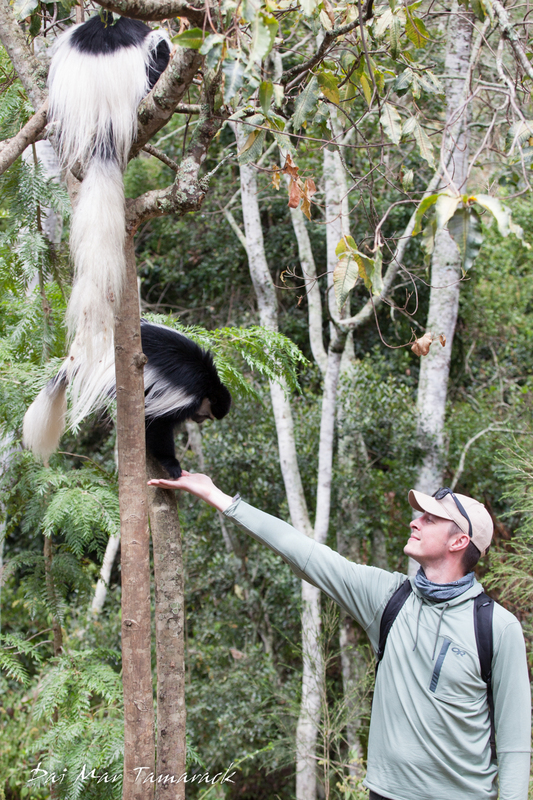 I started this year off leading a few expeditions aboard the Safari Explorer, UnCruise's flagship 36 passenger vessel. We are currently sailing around the Hawaiian Islands. 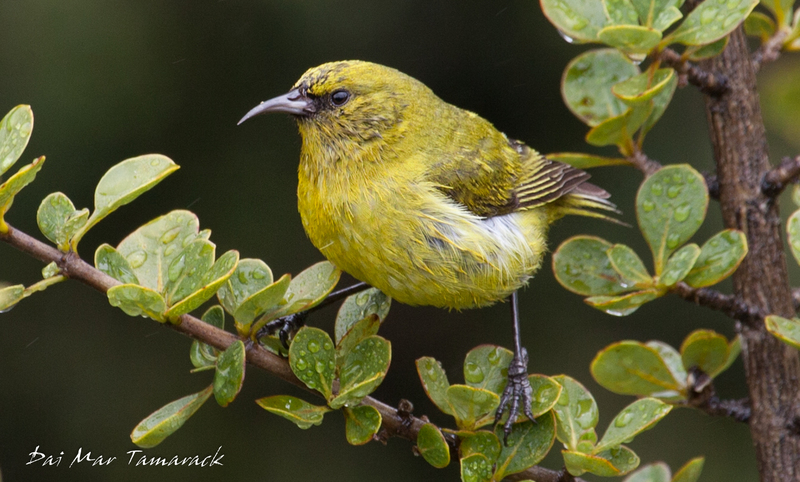 The cruises are 1 week long and 1 way trips, either Molokai to Big Island or reverse. We hit up Lana'i and Maui on our way. I'm in charge of all the excursions, adventures, and night programs. It is a good mix of kayaking, skiff tours, boating, cultural encounters, education, and a lot of snorkeling thrown in as well. 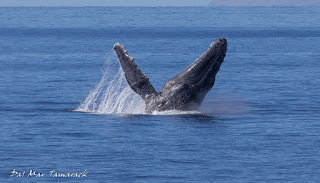 We spend quality time whale watching in the waters of the Humpback Whale National Marine Sanctuary. 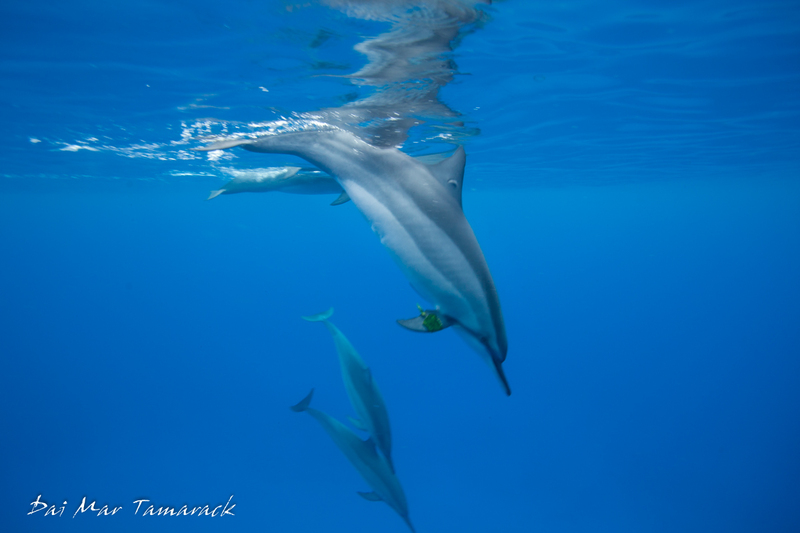 If we are lucky we have multiple dolphin encounters throughout the week as well. 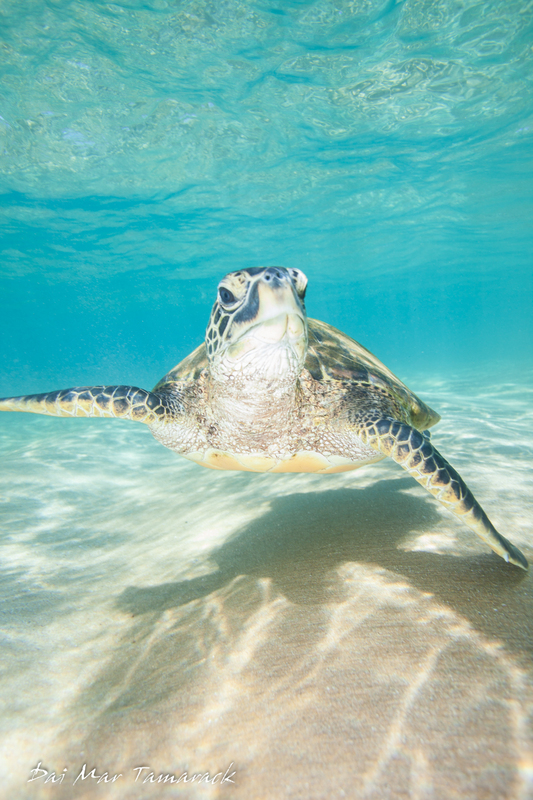 And I can almost guarantee that my guests will get to swim with a green sea turtle or two. All of this makes for some pretty spectacular trips and draws in a very fun crowd. 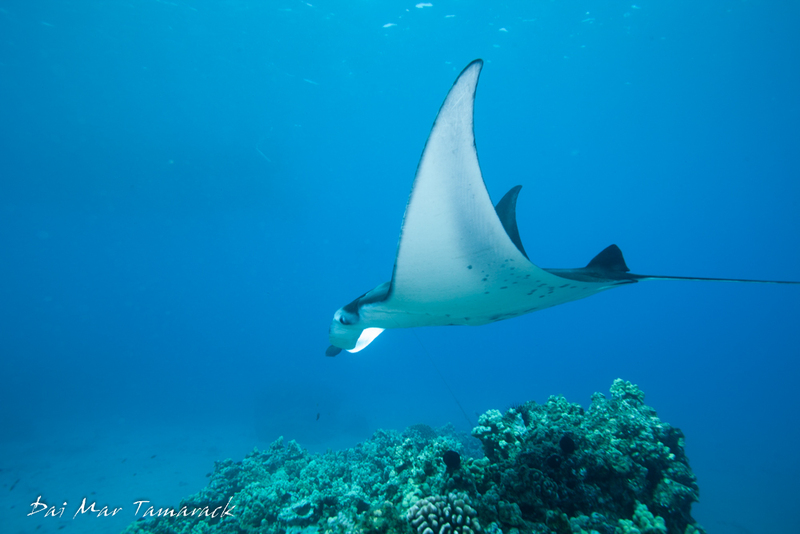 However, some trips get luckier than others with rare sightings like beaked whales, false killer whales, spotted eagle rays, hammerhead sharks and the such. 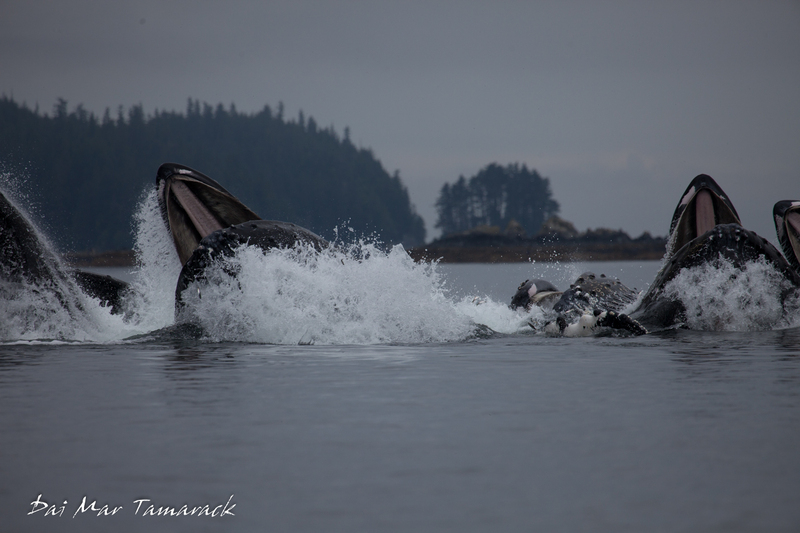 And while pretty much every group gets to see whales, only a handful really get to see the entire body of the whale leaping out of the water in what we call a breach. Everyone thinks of the Pacific Life Insurance commercial and it is like the holy grail of humpback whale watching. So, not a bad way to start 2019. 2018 started off in a big way. 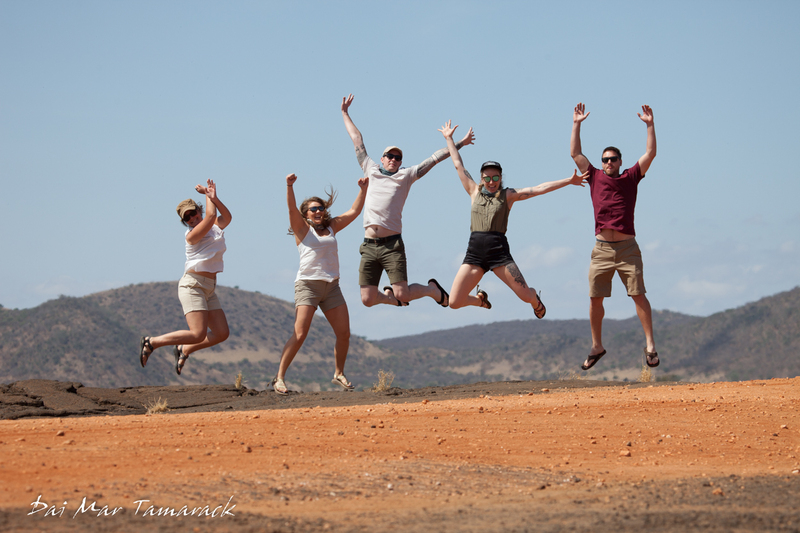 I found myself back in Africa, this time in East Africa for an incredible family safari with the Dillon clan through Kenya and Tanzania. 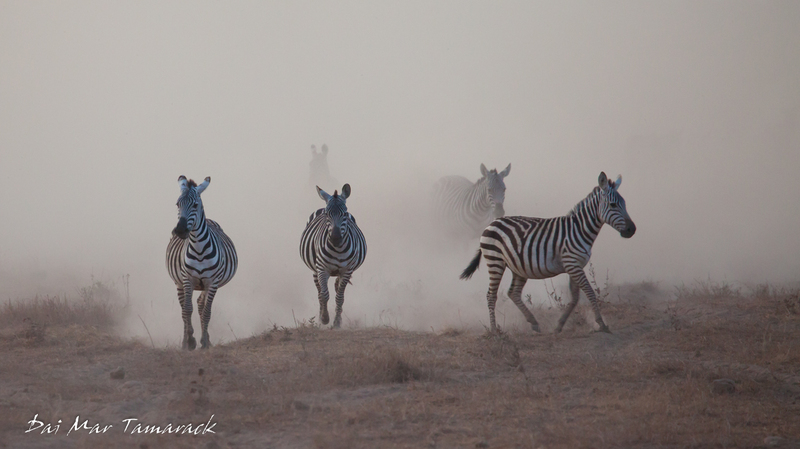 We took part in a Masaai new years celebration at the uber luxurious Ngorongoro Crater Lodge. Ringing in the new years surrounded by a hundred chanting Masaai warriors and dancers. After that safari I rushed back to the east coast for the birth of our first child. 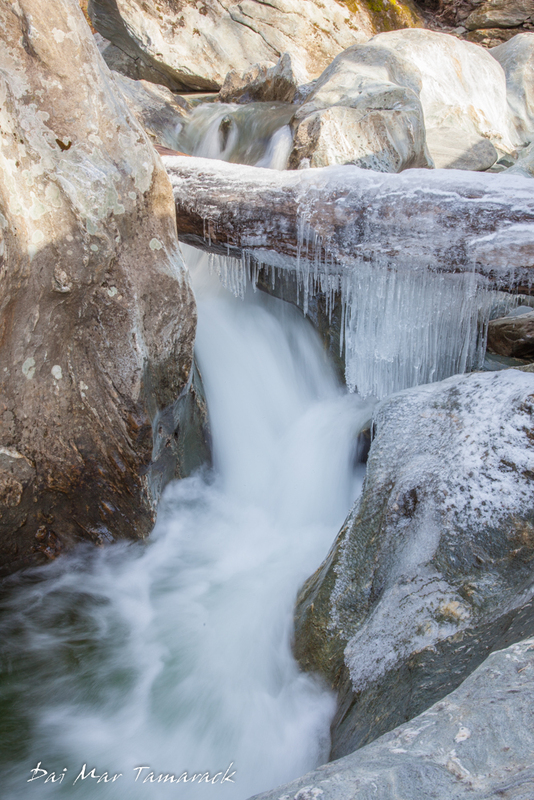 Born in Burlington, Vermont on January 19th, we welcomed a baby girl into the world. We named her Catalina after the island that Heidi and I met sailing around nearly a decade ago. 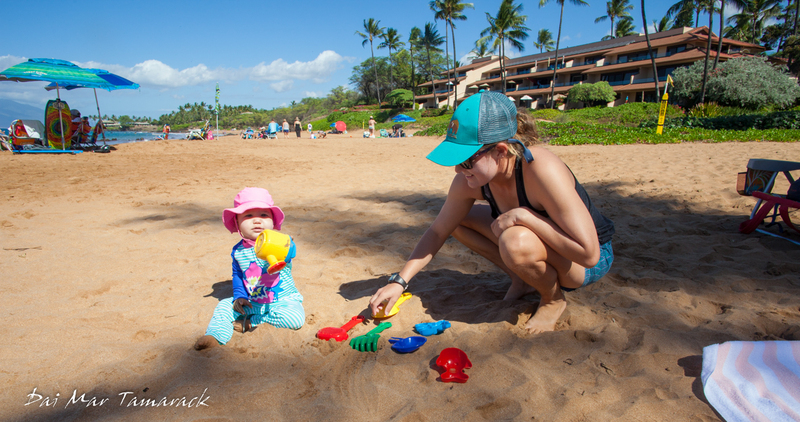 After a month of changing diapers and getting used to fatherhood I headed back to finish the Hawaii UnCruise season aboard the Safari Explorer. This would be the start of my new father schedule of working for a month and then off for a month. 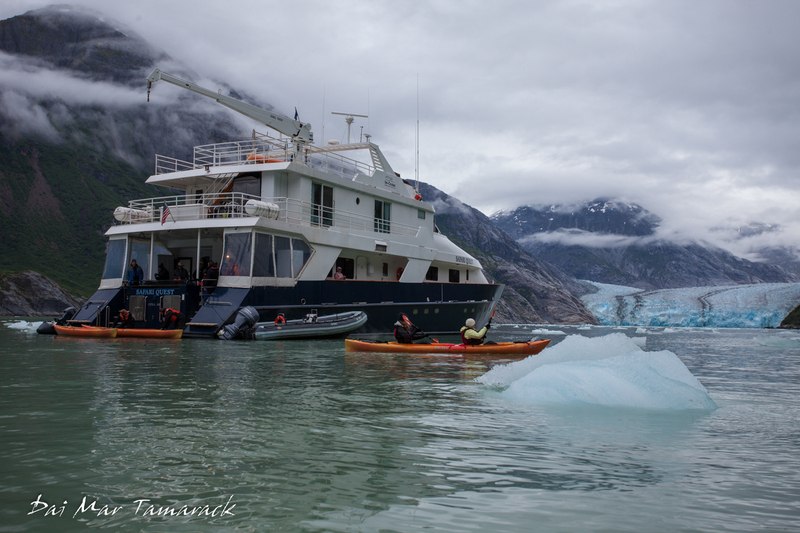 This summer was my second season as Expedition Leader aboard the Safari Quest in Canada and Alaska. She is the smallest vessel in the fleet, and maxes out at 22 passengers. The expedition staff is comprised of just me. 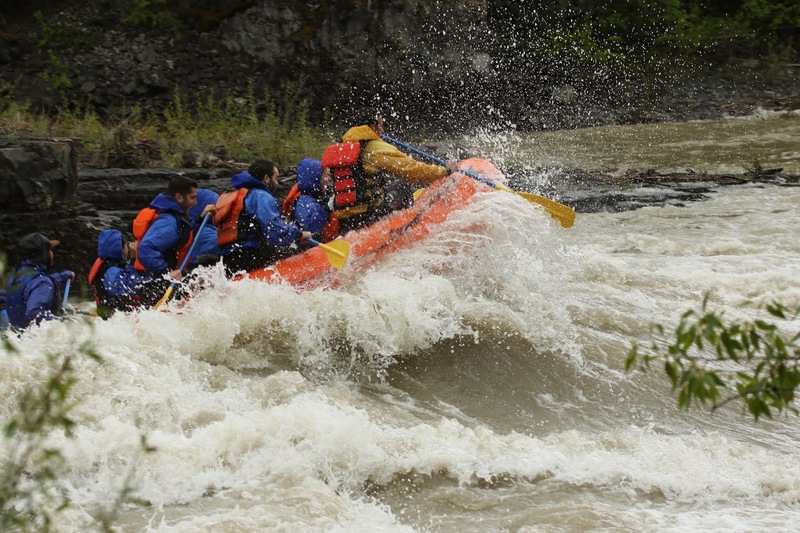 After a few Canada trips exploring the coast of British Columbia we began a brand new itinerary or the Quest in Alaska. The trip went in and out of Petersburg, which meant we were right in the mix of things as far as whales, glaciers, bears, and other incredible adventures. 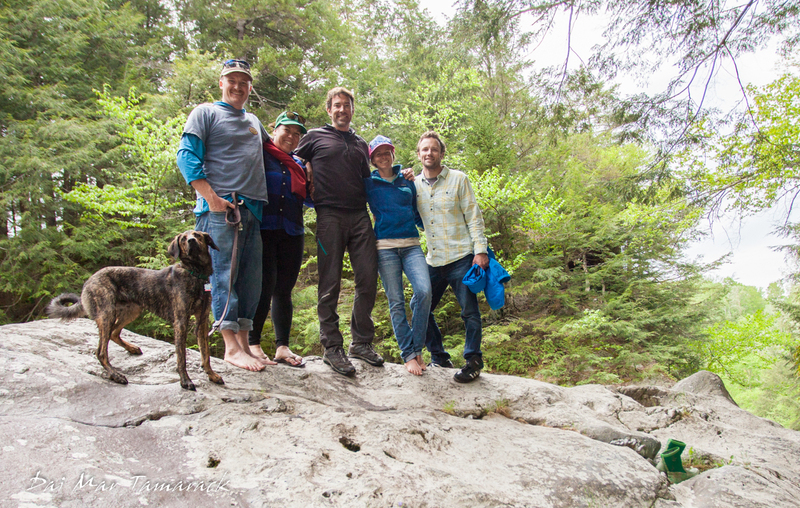 It turned out to be a wonderful itinerary and an even better crew. I ended up spending a lot of time in airports and on airplanes this year. 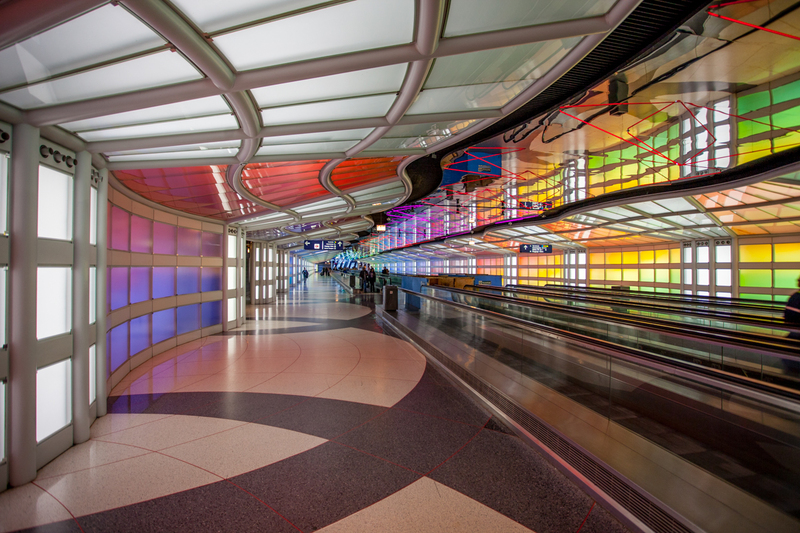 One of my favorite airports to walk through was ORD in Chicago, as the art installations there were just mesmerizing. I got bumped up to first class a few times on United thanks to my frequent flier status. 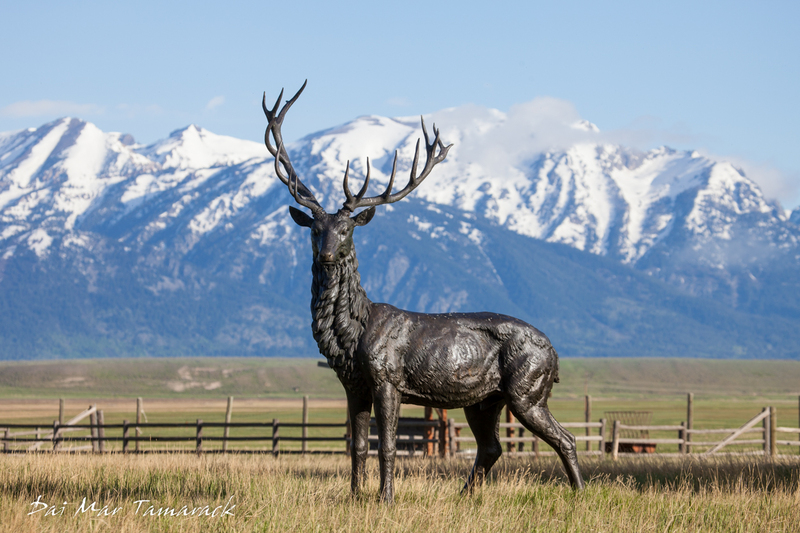 My usual flights were between Vermont, Hawaii, and Alaska...although one of my favorite stops off the beaten path was a visit to Jackson Hole, Wyoming. 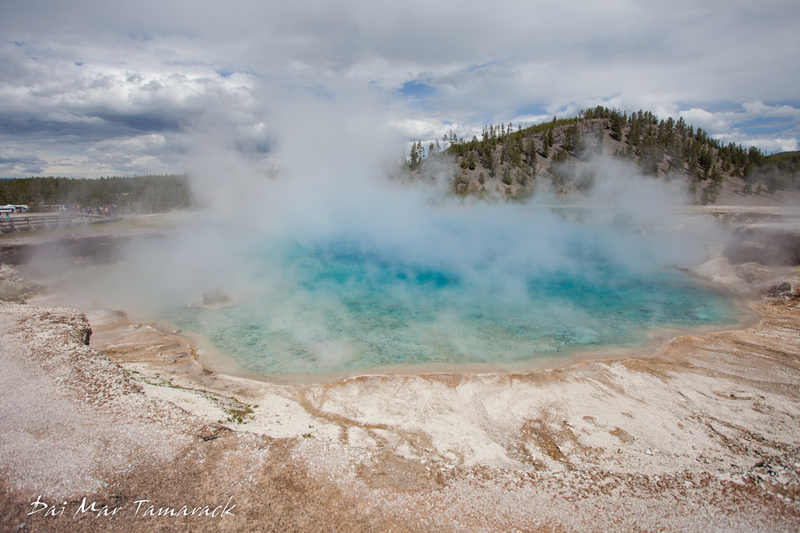 There was some pretty amazing animals, beautiful landscapes, and great adventures around Yellowstone and Jackson Hole. Some highlights from Hawaii were surfing with Ben at Honolua, leading a photography charter backside Molokini, swimming with dolphins, scuba diving for nudibranchs with Heidi, introducing Catalina to the islands for the first time, and in March we bought a place in Kihei, Maui. We finally got to move into our Maui place later in the year and I have to say it is an amazing feeling to own a little piece of paradise out here. It is big enough for the three of us, plus I can just scoop up Catalina and walk with her to the beach about 5 minutes away. I did get to spend an unusual amount of time in Vermont during the winter which led to an opportunity to hone some of my long forgotten snowboard skills. Being able to see Vermont through all the seasons, especially once Fall came and the leaves started changing colors was a fun experience as well. 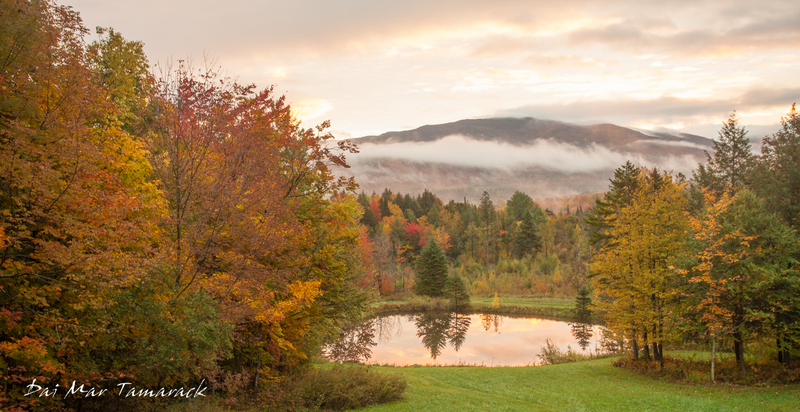 I managed some very fun photo sessions with the Vermont landscapes this year. The highlights from the Alaska season were also plentiful. 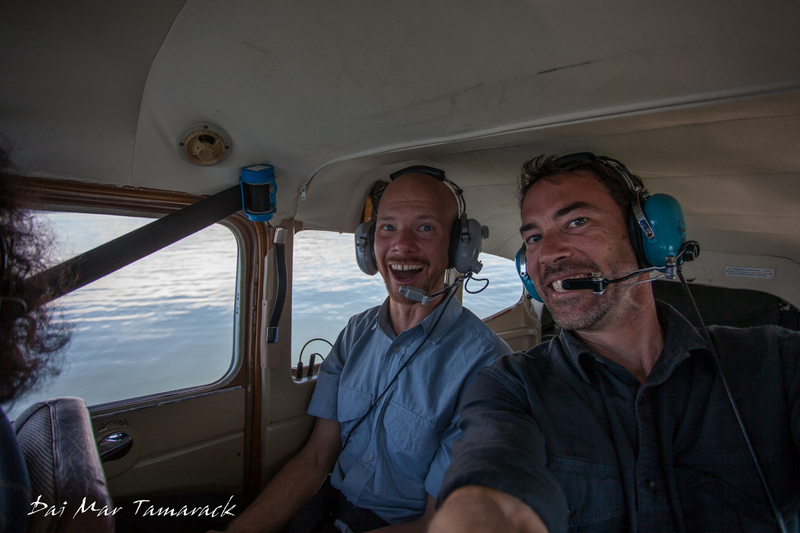 I took my first ever float plane ride on a ridiculously scenic flight over LeConte glacier and the Stikine River valley. We skiffed with humpback whales who were bubble net feeding right next to us. 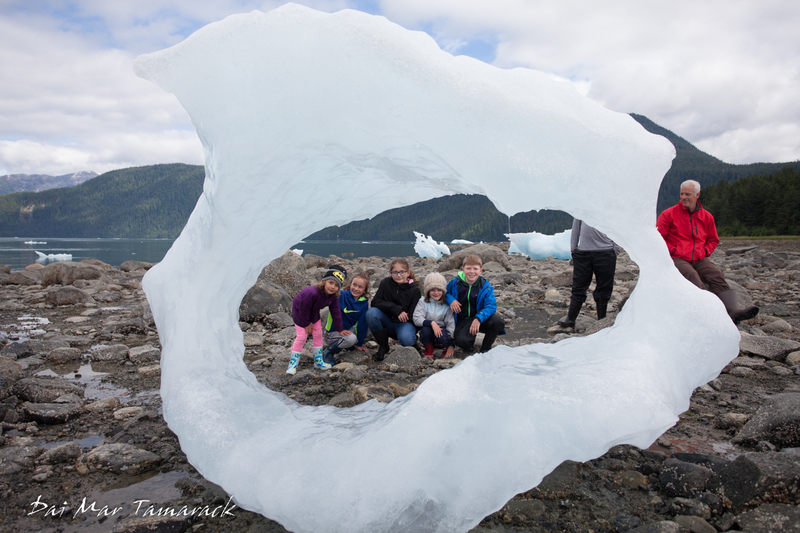 We walked with giant icebergs left high and dry by the low tides. I kayaked around massive glaciers like Dawes and Sawyer, and led many bushwhacks deep into the most protected parts of the Tongass National Forest. It was difficult being away from the family for these extended periods but facetime comes through in a pinch. Each time I come back to Catalina I arrive with the hope that she remembers me. So far so good. 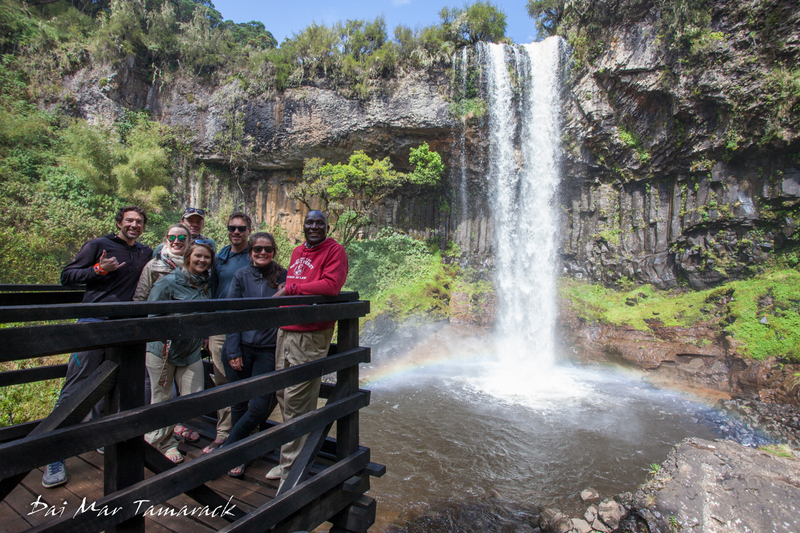 The other very big adventure of the year came in late September as I put together the ultimate Kenya safari for some of my UnCruise friends and coworkers. 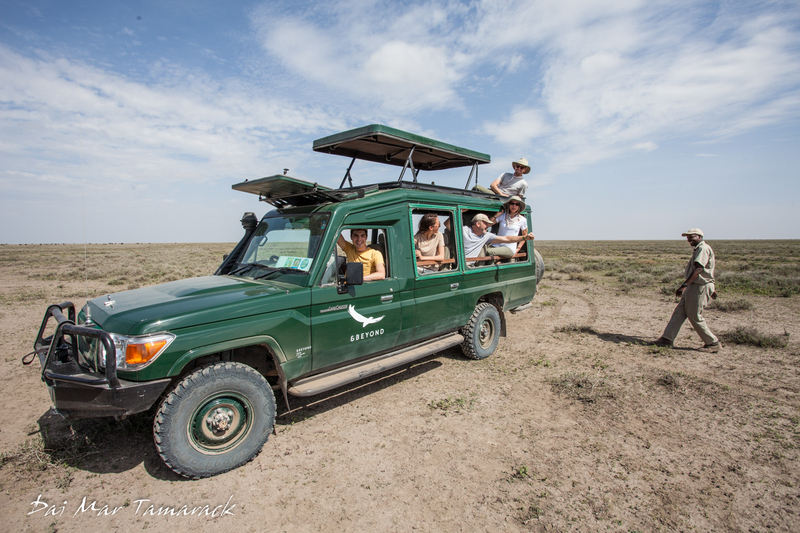 We spent 14 days with our own private car and driver visiting 8 different reserves and parks. 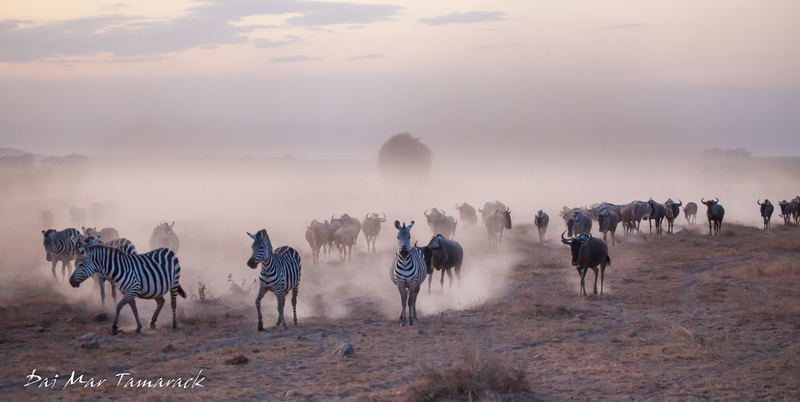 We saw the big 5, lots of cats, and even found ourselves in the middle of the famed Great Migration. 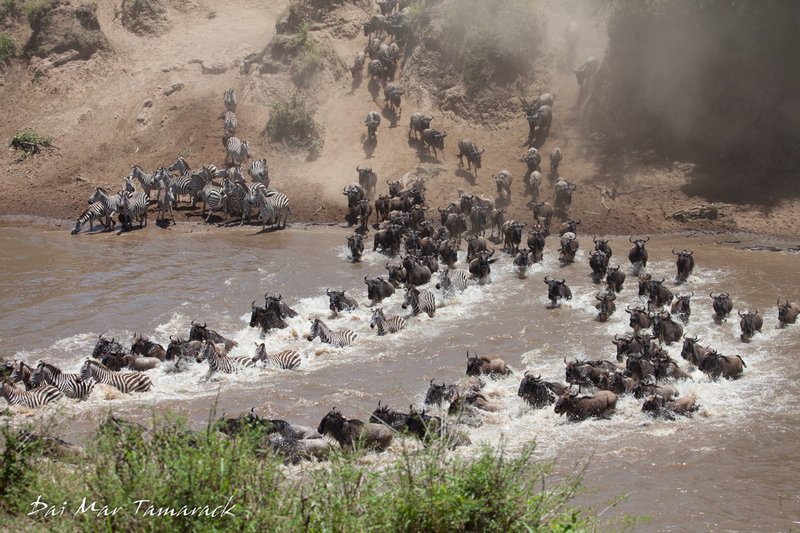 Watching a giant crocodile take down one of the thousands of wildebeest rushing across the Mara River was the culmination of our trip. It was a sight to remember and an experience that no one will soon forget. 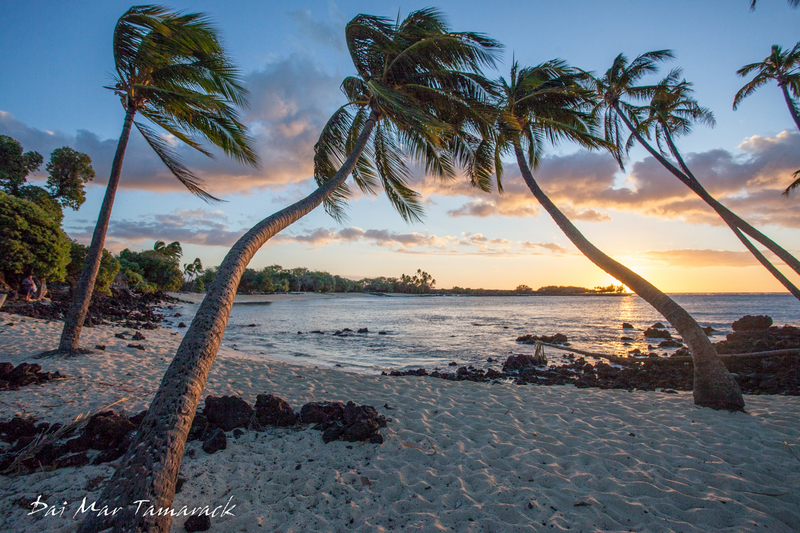 At the very end of the year I find myself back in Hawaii aboard the Safari Explorer. I celebrated Christmas and New Years onboard trying to give these guests the most memorable experience they can have. So far so good. I'm excited to see what 2019 brings for Heidi, Catalina and I. And looking back at this year in review I can't help feeling very lucky for all the amazing experiences and people. Check out the full story behind bubble net feeding humpbacks. The Fall Colors in Vermont were unreal! 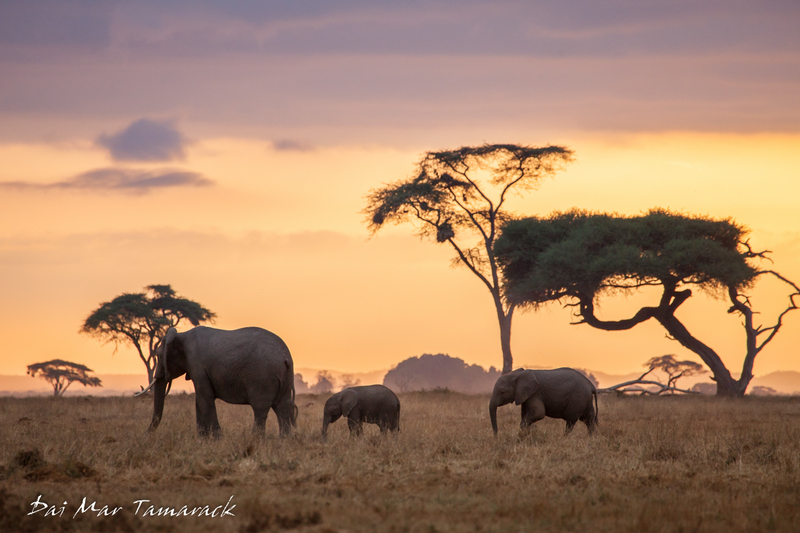 Check out this post about the animals of Amboseli National Park.